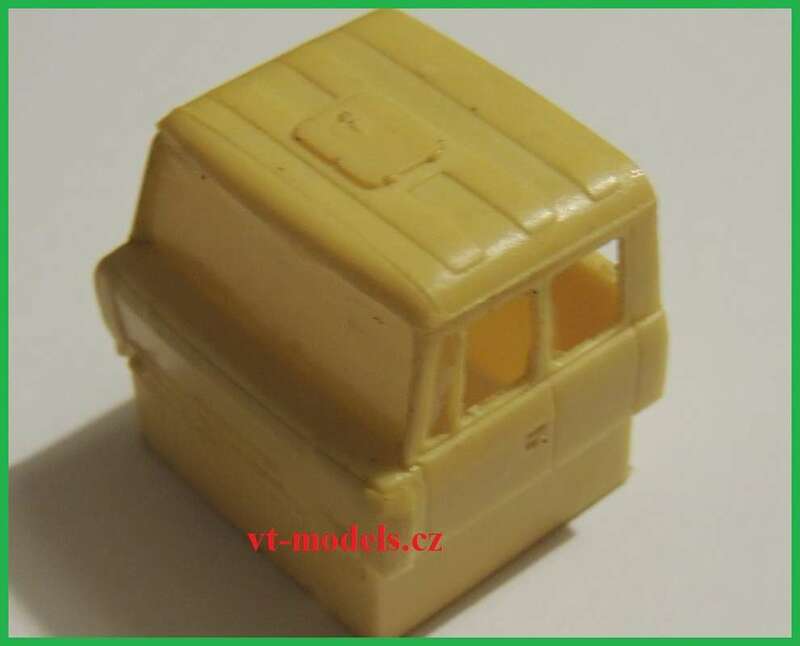 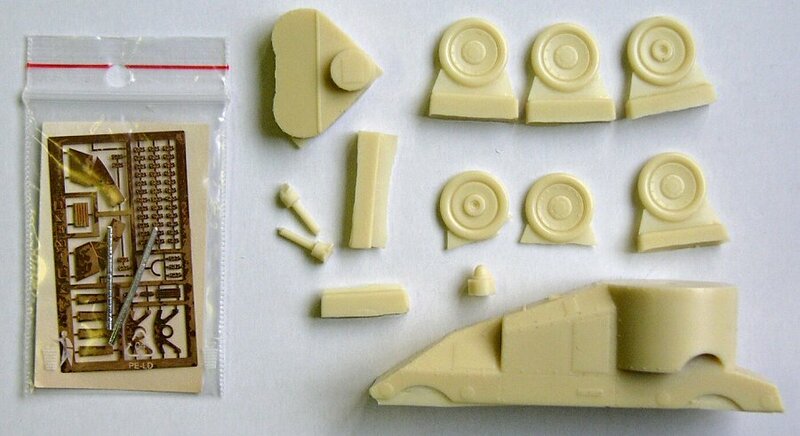 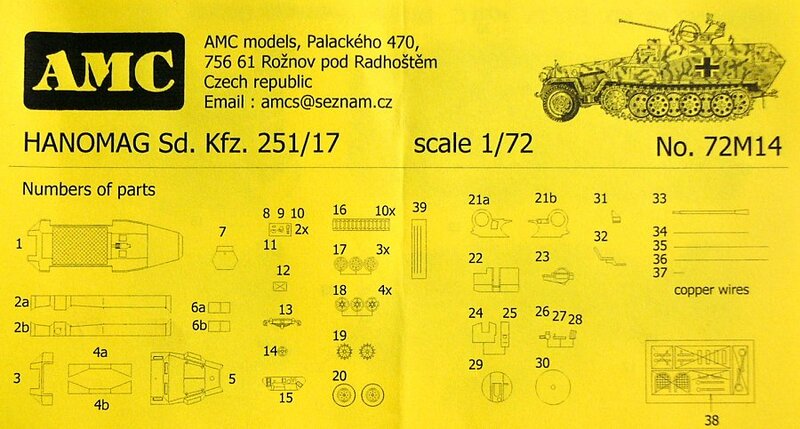 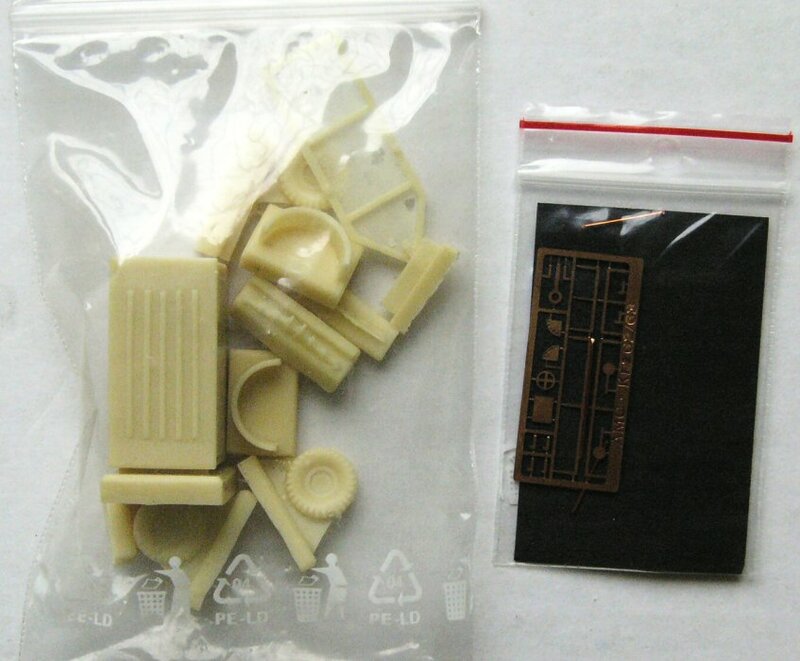 1/72 AMC Models resin kits, BranickÃ¡ 9, 147 00 Praha 4, Czech Republic. 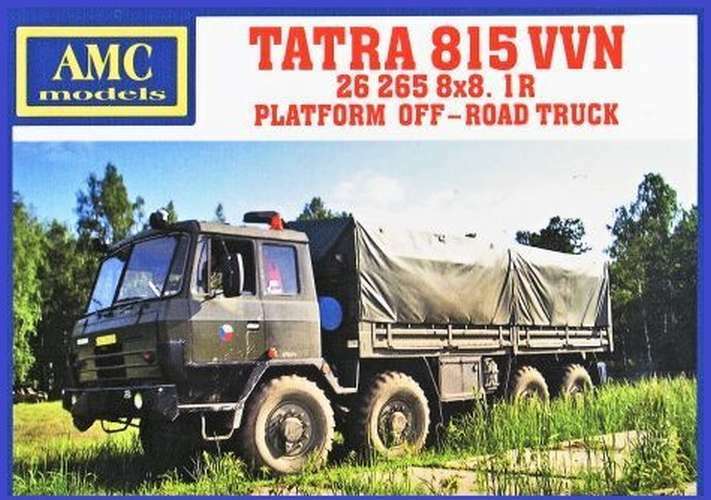 Tel/Fax +420/2/444 60 666. 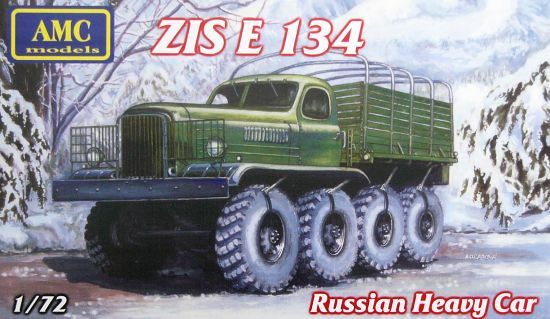 Kit 72m01 - ZIS E134 army truck. 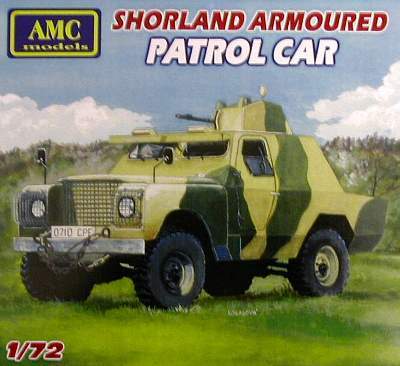 Kit 72m02 - Shorland patrol car. 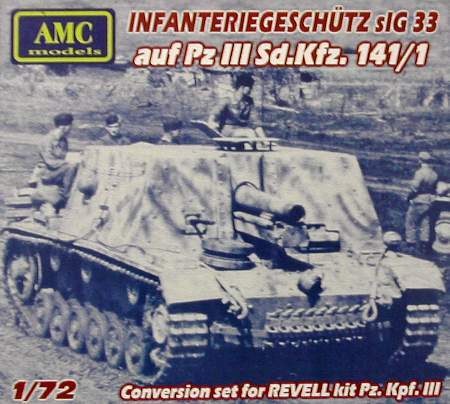 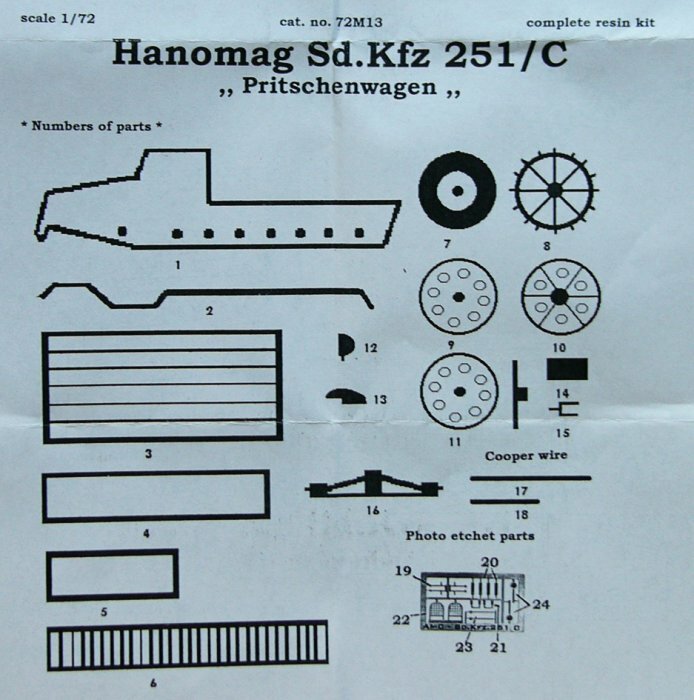 Kit 72m03 - SIG33 conversion for Revell. 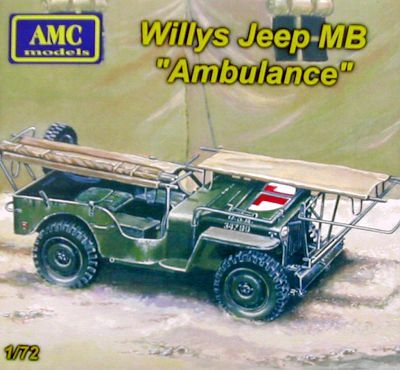 Kit 72m04 - Willy Jeep MB ambulance. 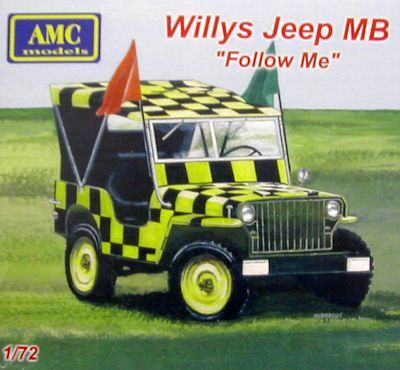 Kit 72m05 - Willy Jeep MB 'Follow Me'. 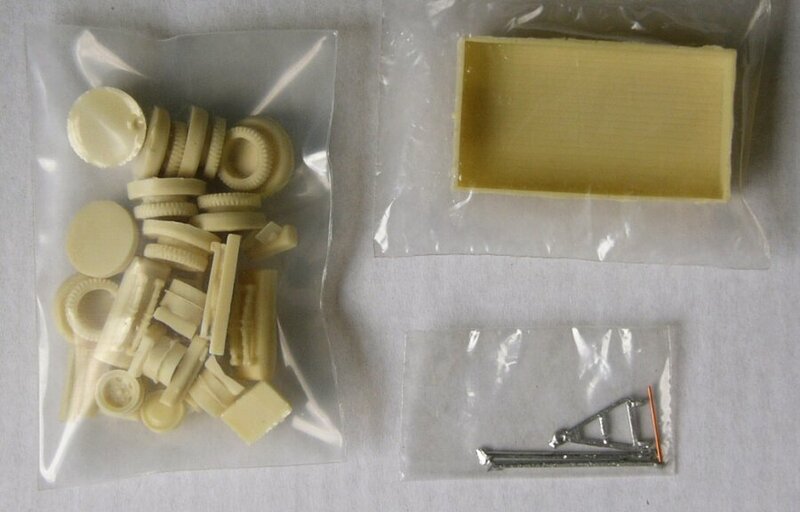 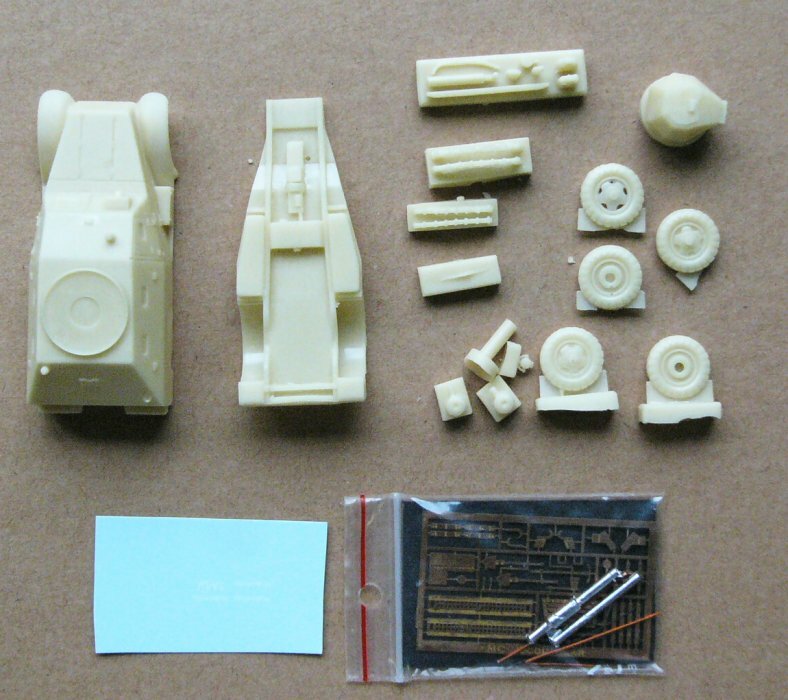 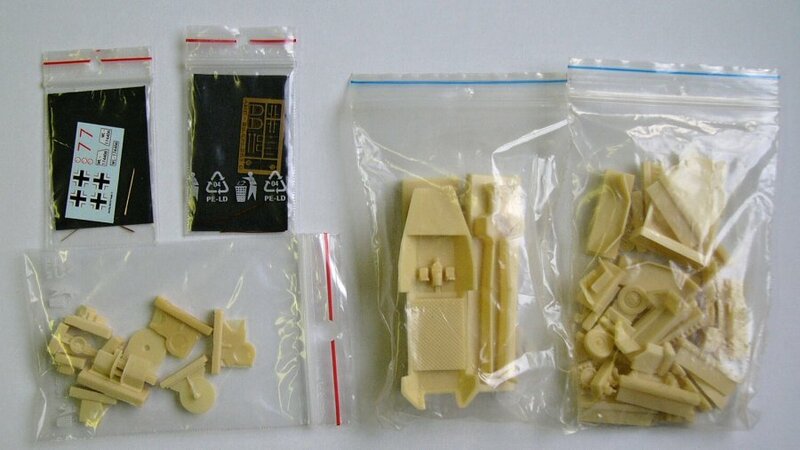 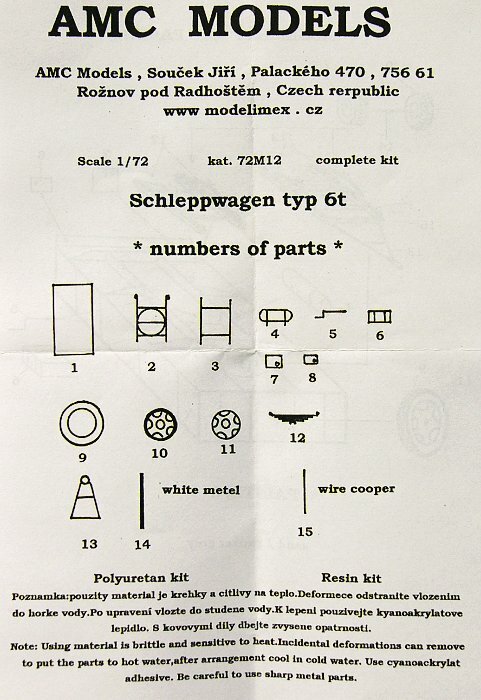 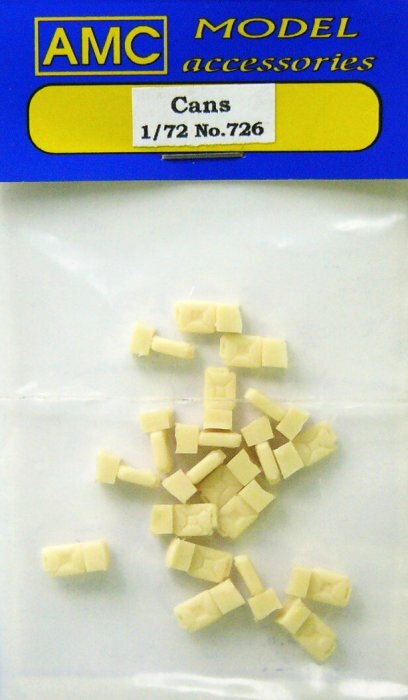 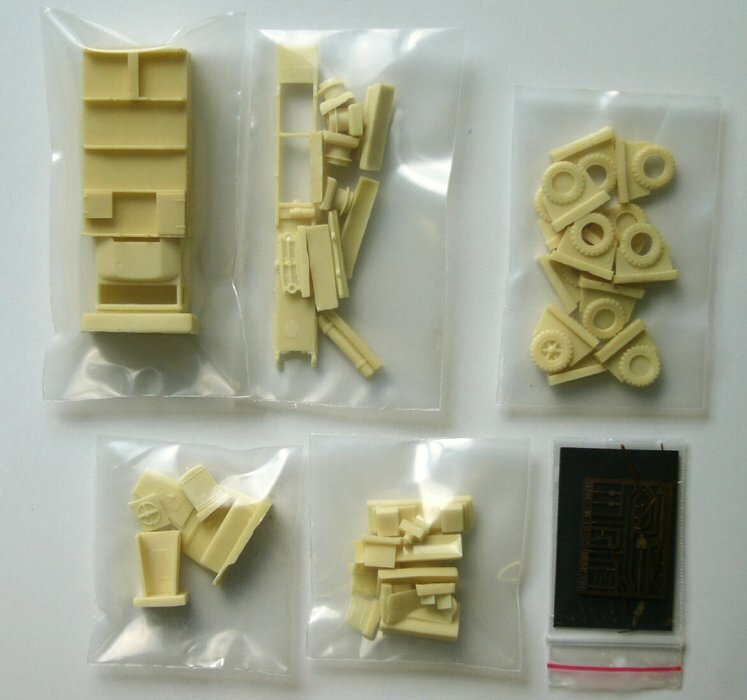 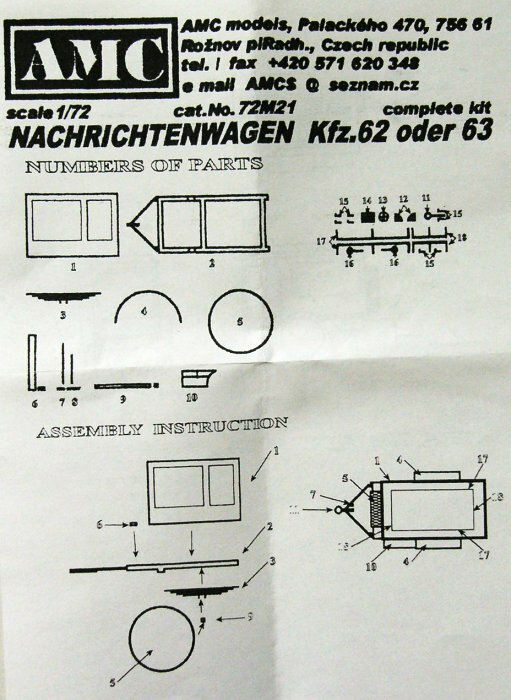 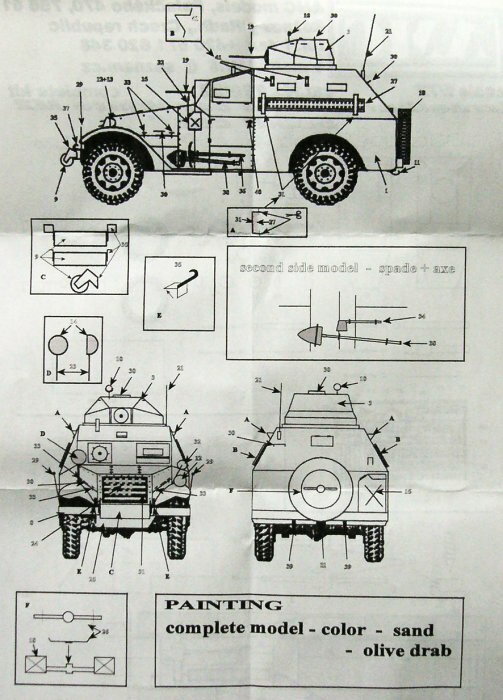 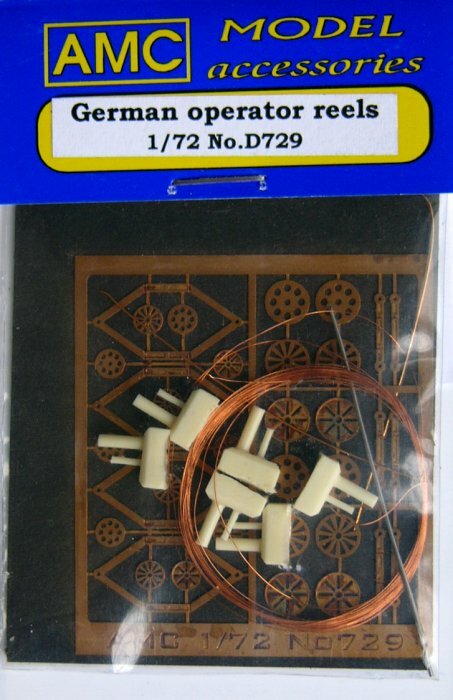 Kit 72m06 - Willy Jeep MB rckets. 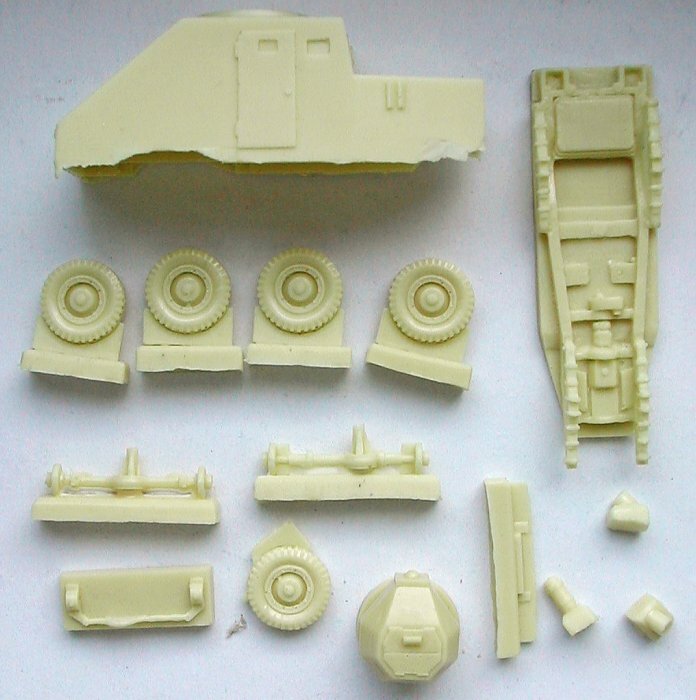 Kit 72m07 - Krupp L3H 163. 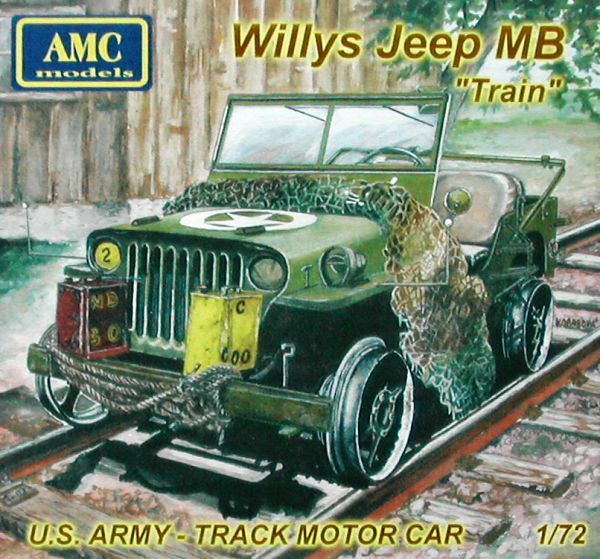 Kit 72m08 - Willy Jeep MB train. 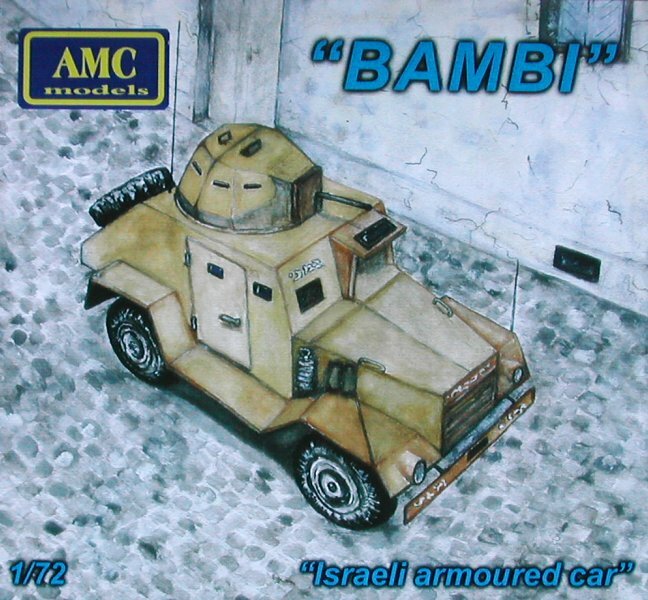 Kit 72m09 - Israeli armoured car 'Bambi'. 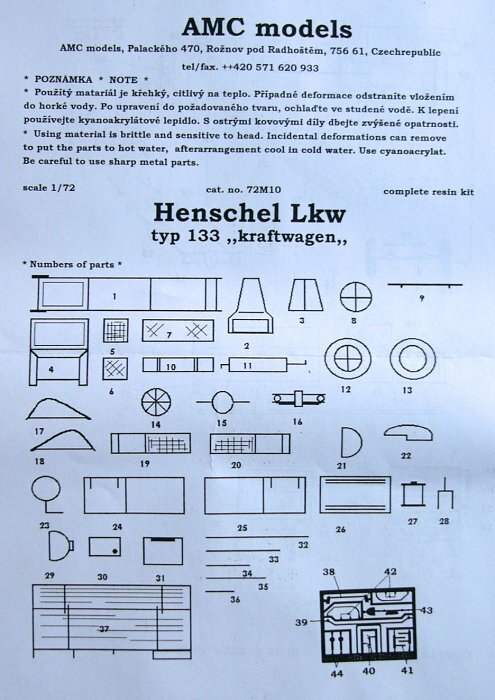 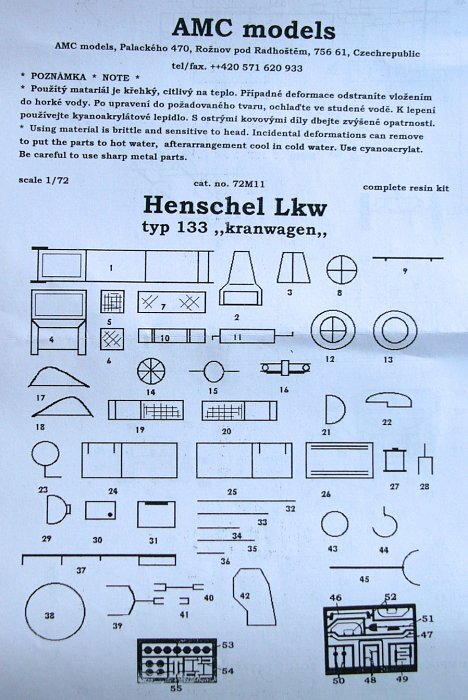 Kit 72m10 - Henschell type 133. 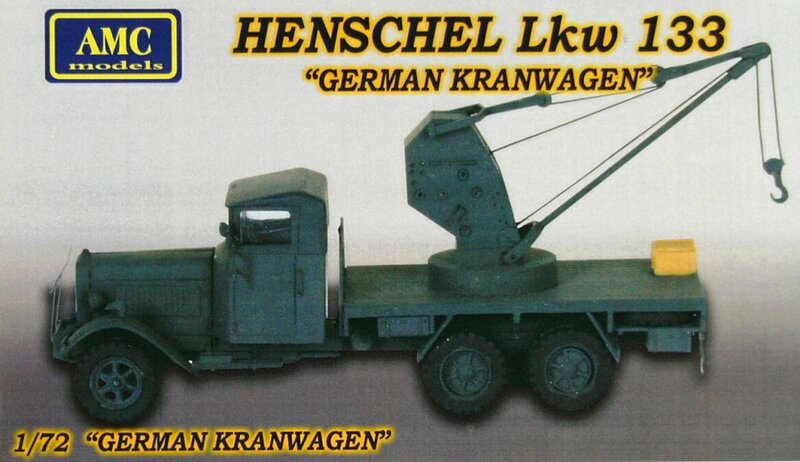 Kit 72m11 - Henschell type 133 with crane. 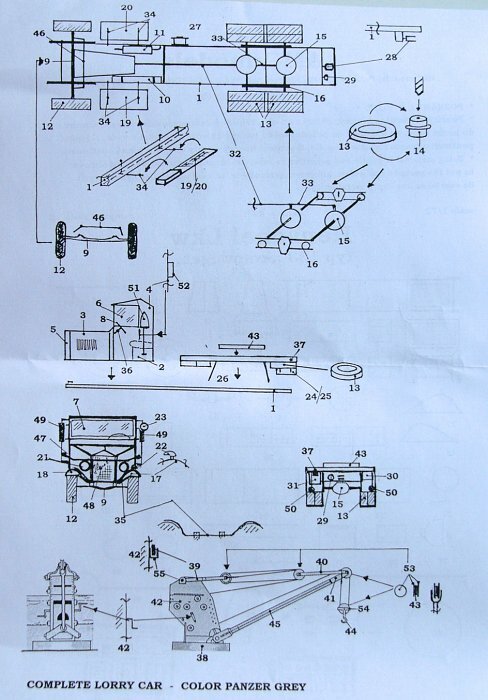 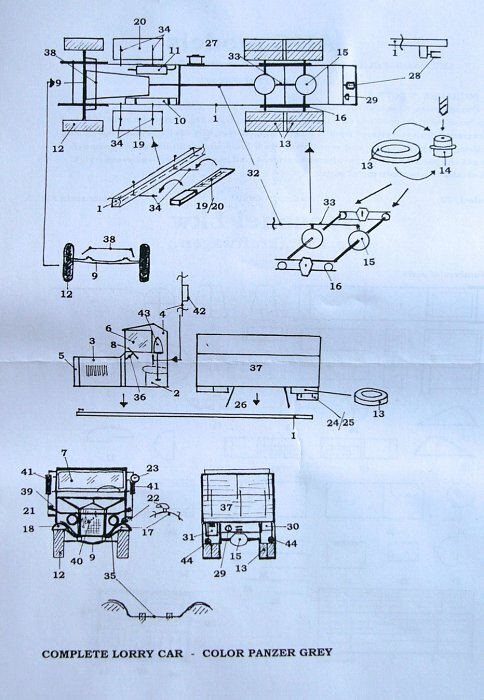 Kit 72m12 - 6-ton trailer. 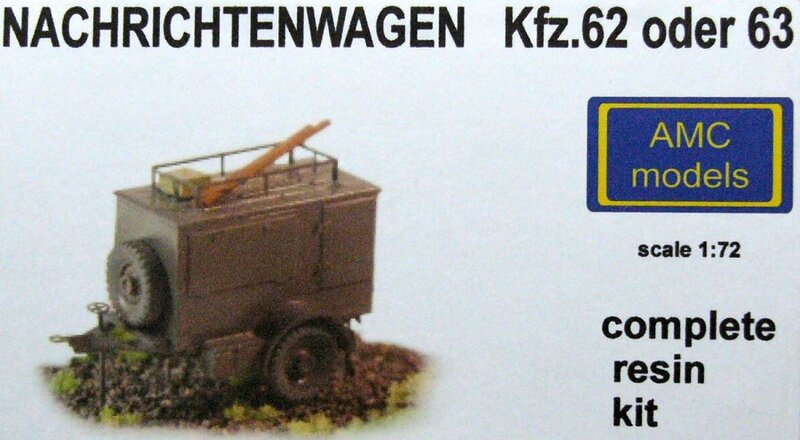 Kit 72m13 - Hanomag SdKfz. 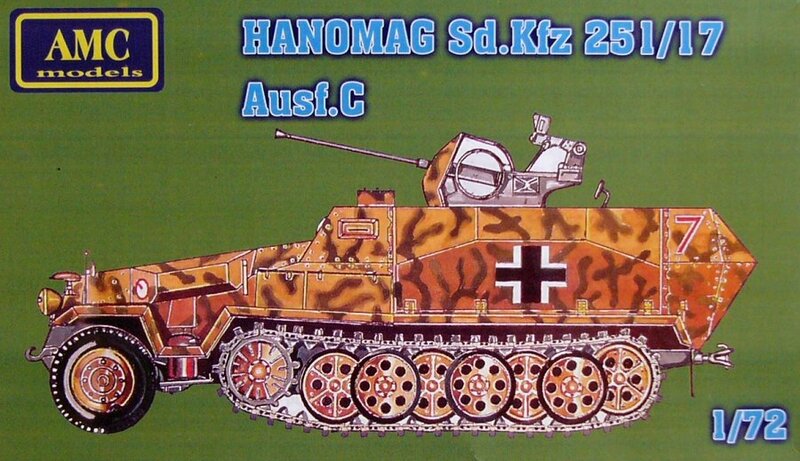 251 Ausf. 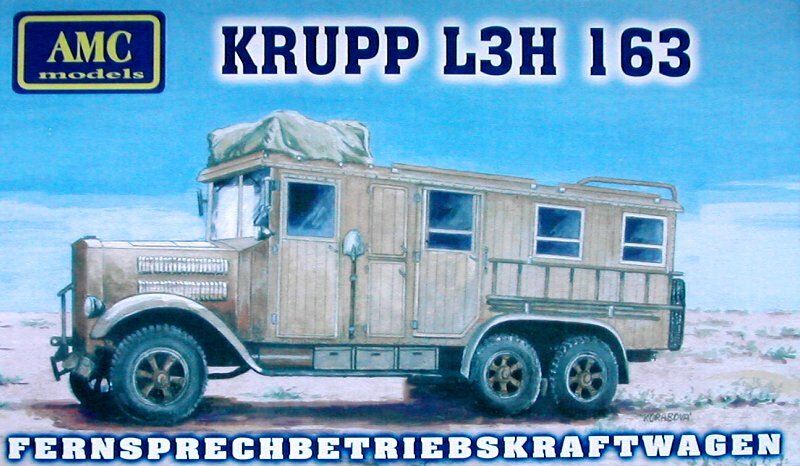 C 'Pritschenwagen'. 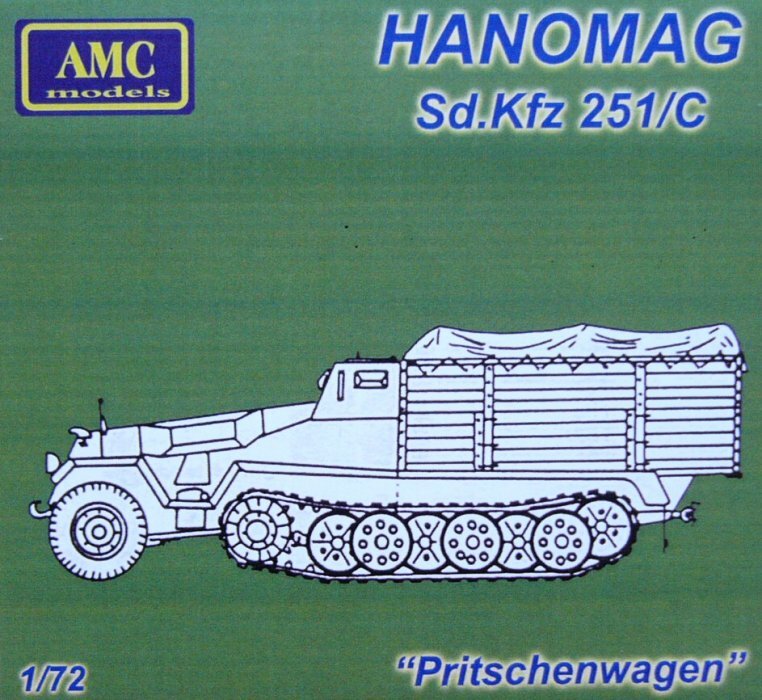 Kit 72m14 - Hanomag SdKfz. 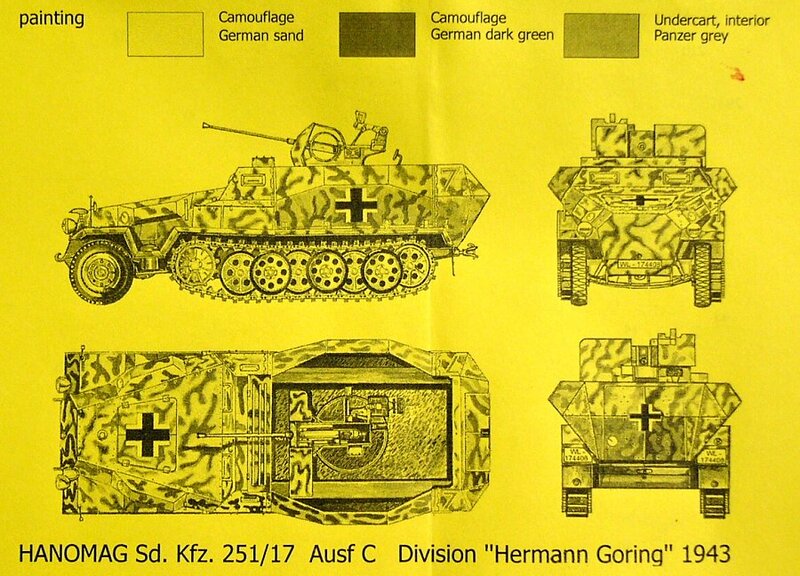 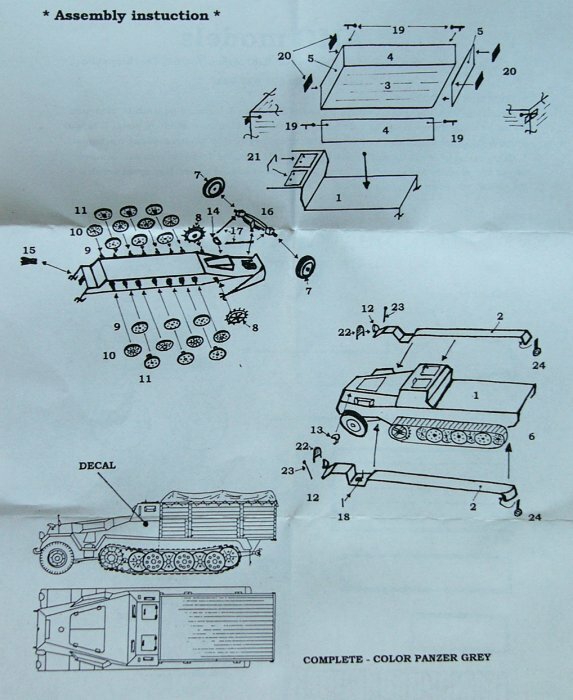 251/17 Ausf. 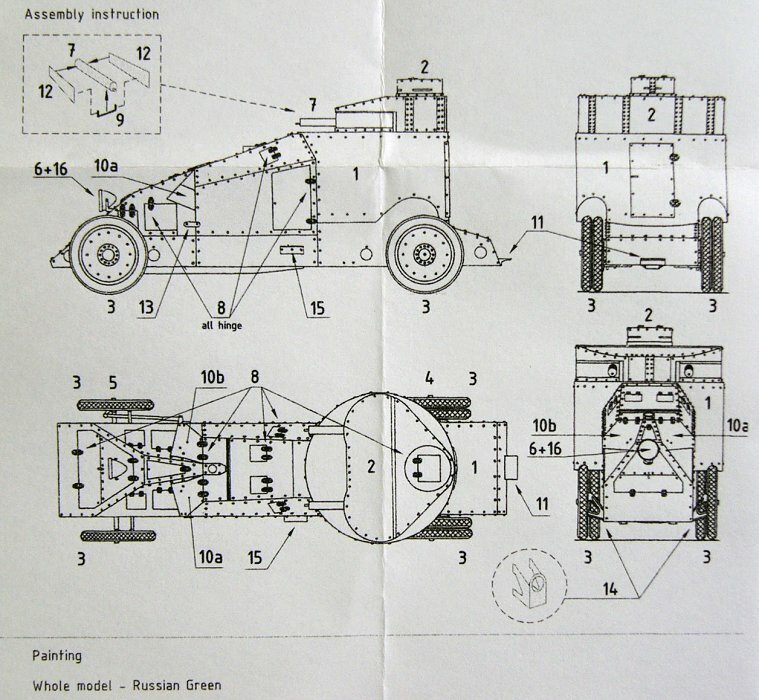 C with flak 38. 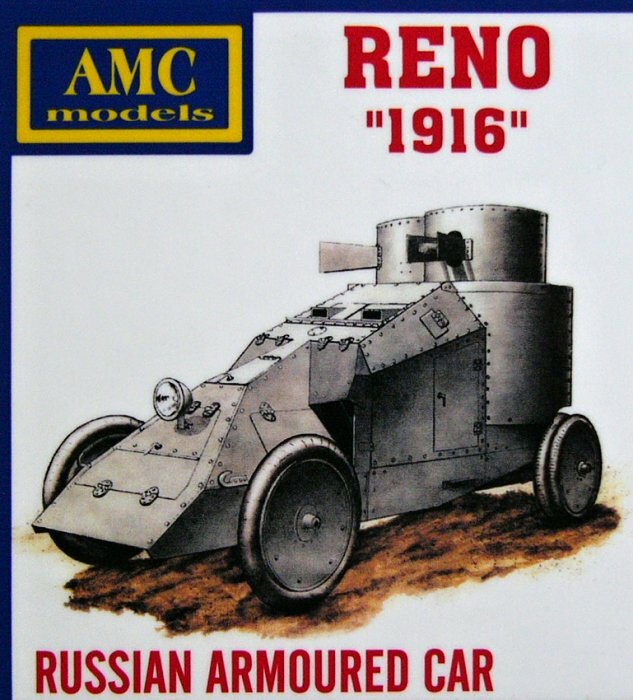 Kit 72m15 - Russian armored car 'Reno' M1916. 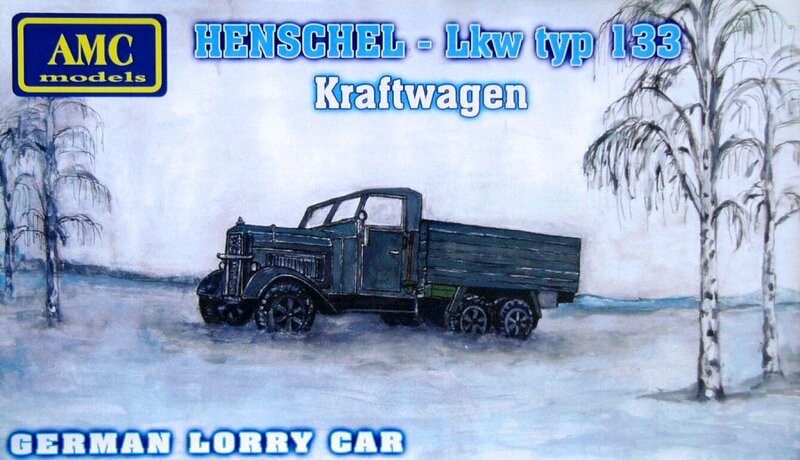 Kit 72m21 - Nachrichtenwagen Kfz. 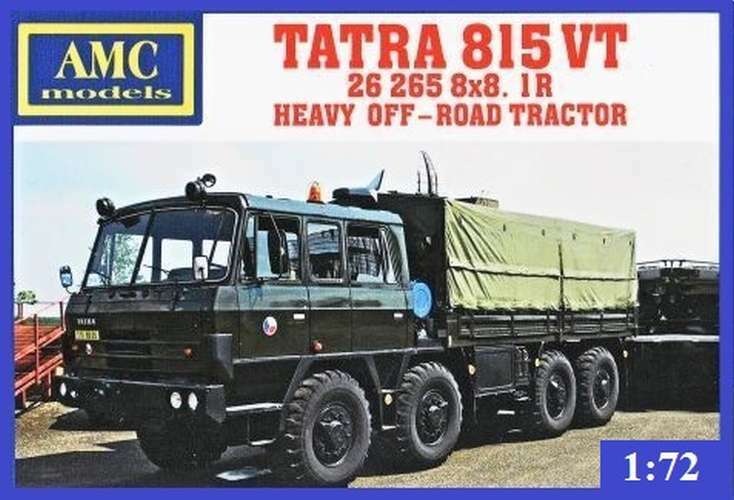 62 or 63. 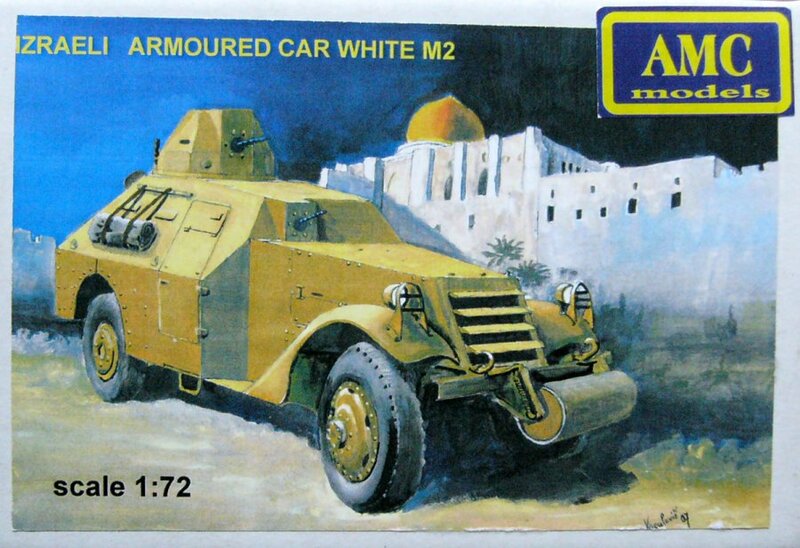 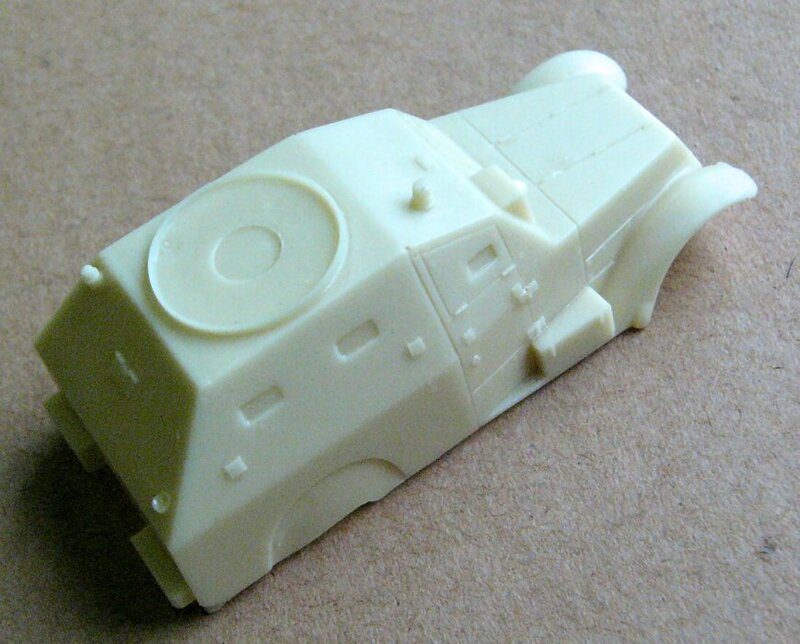 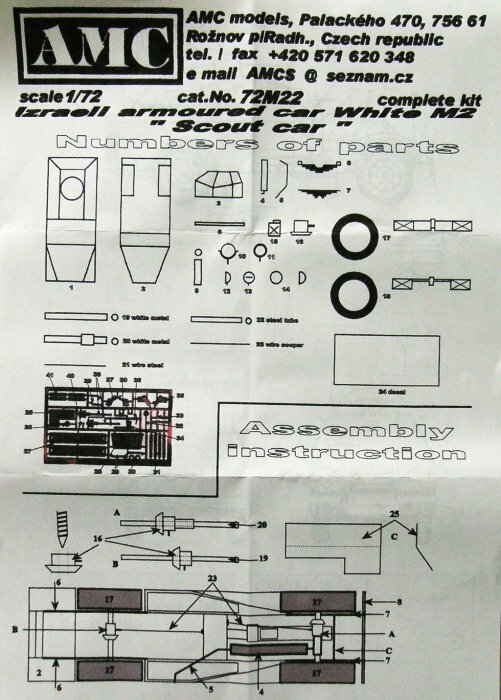 Kit 72m22 - Israeli armoured car White M2. 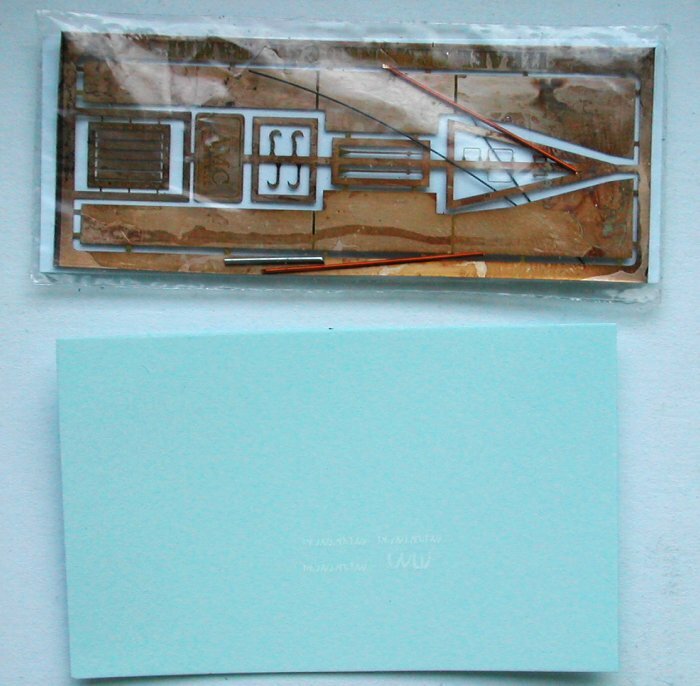 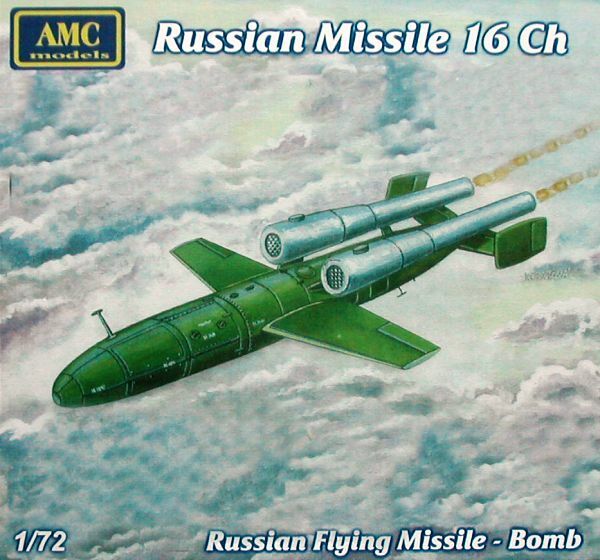 Kit 7202 - Russian missile 16CH. 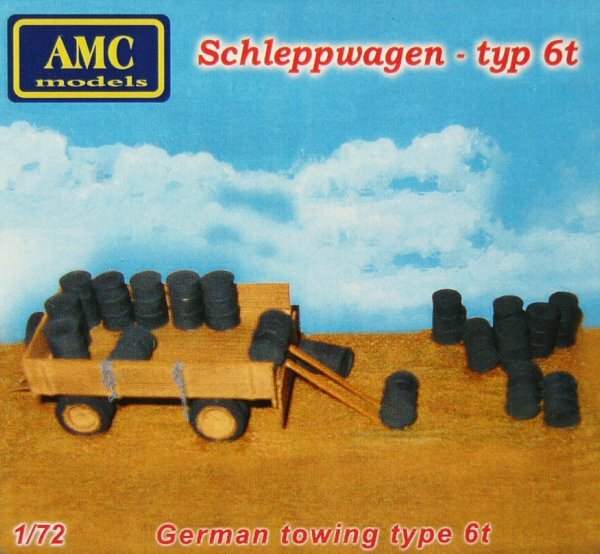 Kit 7206 - fuel cans. 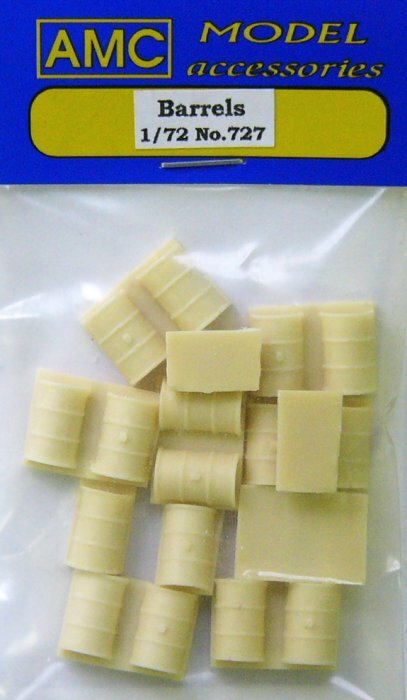 Kit 7207 - oil drums. 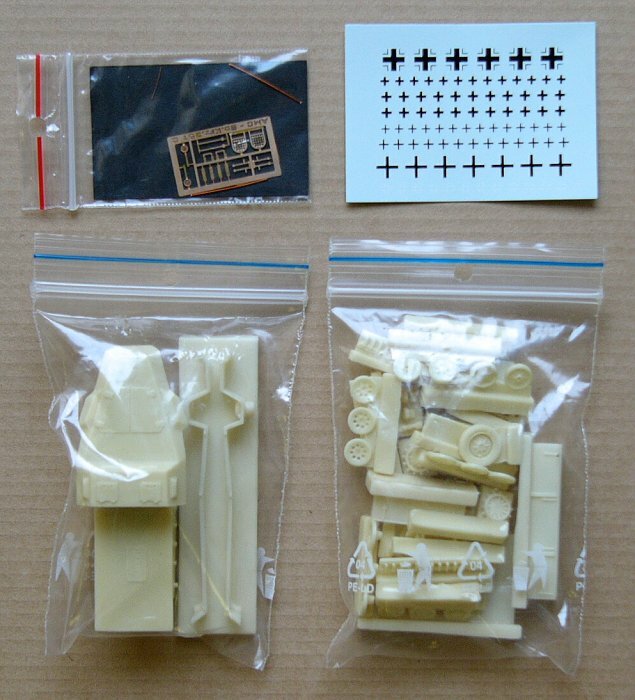 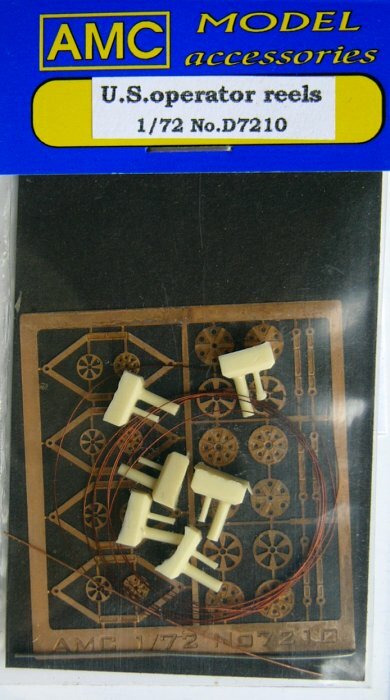 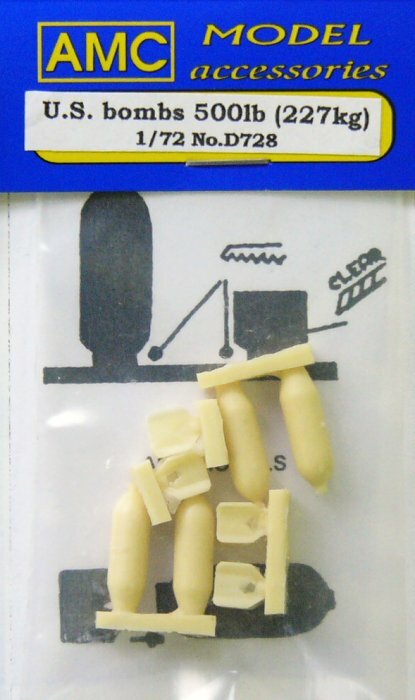 Kit 7208 - U.S. bombs. 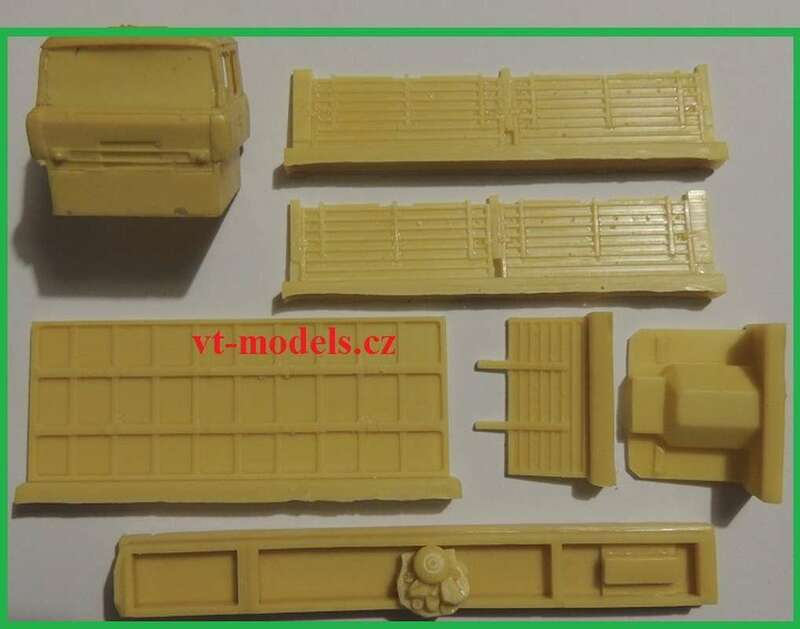 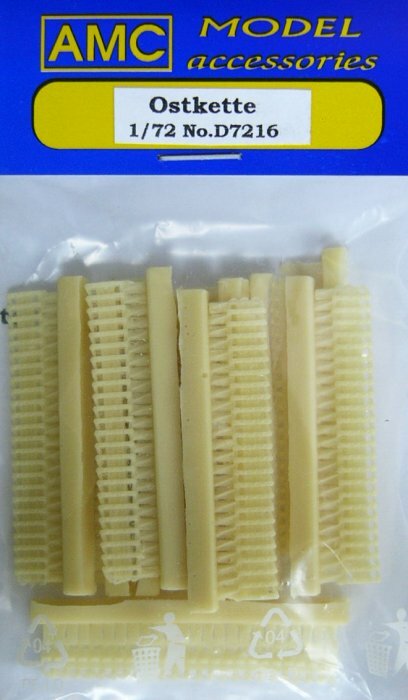 Kit 7209 - German operator rails. 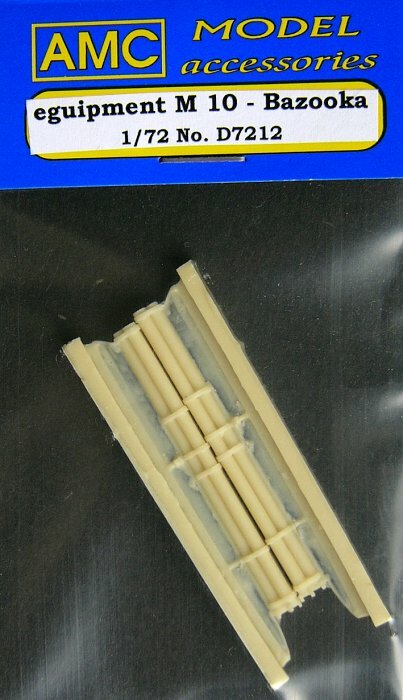 Kit 7210 - U.S. operator rails. 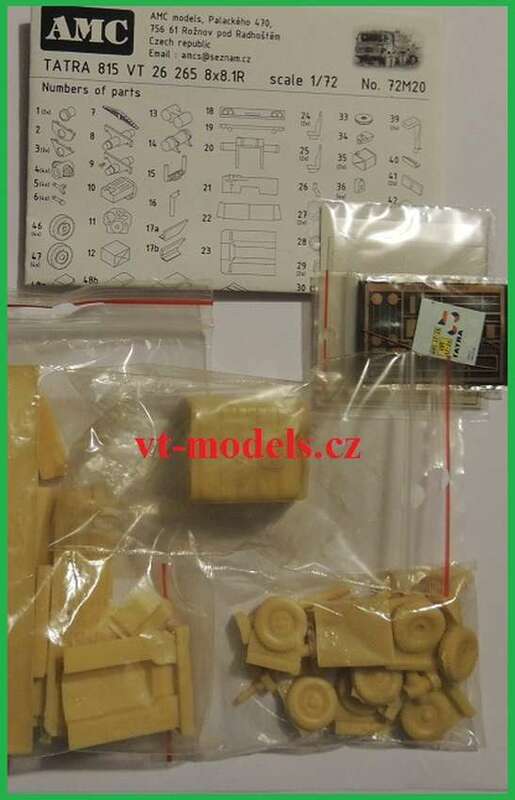 Kit 7212 - bazooka M10. 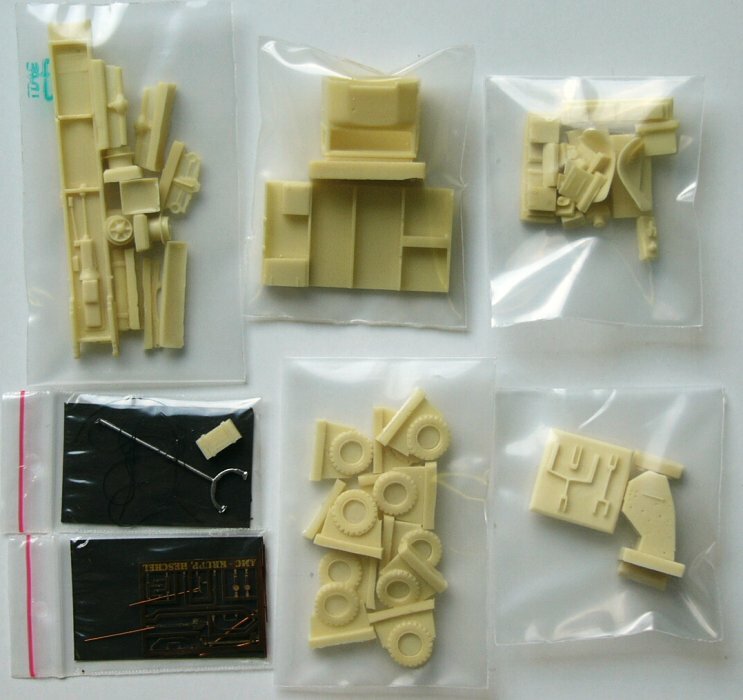 Website www.modelimex.com - AMC resin kits.